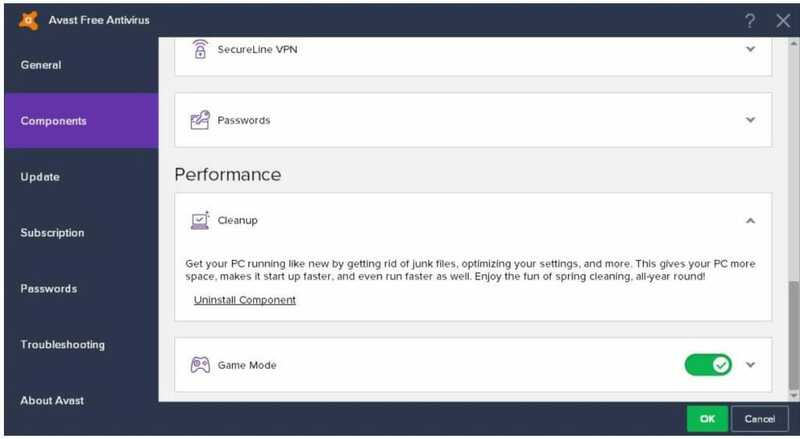 Avast Cleanup or Avast Clean Up, is a tool available from avast that specializes in optimizing the performance of pc and speed up tool for your pc. Avast cleanup tool comes with all the recent versions of avast antivirus. Avast cleanup premium comes with integrated premium antivirus or you can get it here also. Avast cleanup is only present in the antivirus versions that were released after 2015. As before 2015 versions of Avast antivirus, his tool was known as Avast Grime Fighter. Avast has no discontinued grime fighter and replaced it with avast clean up. Talking of the latest version, then avast has just now released the new version for it called as avast cleanup premium 2018. When you have the latest updated versions for avast then there is no issue, however, if you are getting the Avast GrimeFighter still in your avast antivirus, then it is certainly time to upgrade to new avast antivirus. Avast Cleanup is not a free service and avast requires some amount of payment for that. You can test for the trial versions also for the concerned software. Avast Cleanup Key Features. What Avast Cleanup Do? How to Run a Free Cleanup Scan by Avast? How to install or activate Avast Cleanup? How to Insert Avast License key? How to disable Avast Cleanup Pop-up Notification? How to Completely Remove Avast Cleanup? How to get Avast Cleanup Refund? How to Download Avast Cleanup for Android for Free? You can get completely free avast cleanup for android devices. But When you seek to use the avast cleanup on your pc then you have to pay some amount in order to activate avast cleanup to premium. when you download the avast cleanup from the internet then you can perform free scan run on your pc. 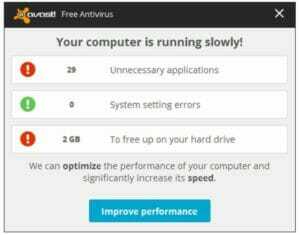 You can also have a bit of optimization for your pc, bu fully pc optimization can only be done on premium avast cleanup only. Download Avast Cleanup for Android, and get your mobile phone completely optimized for the better performance. Using avast clean up for android s absolutely free. Now coming back to the PC version for cleanup software, let’s move further deep in the article. You can also download the Avast Cleanup as a standalone application that can simply be installed on your pc and optimize and speed up your pc on the very first scan. Definitely, the old method of disk defragment is of no use as Pc Cleanup do this also for you. There are many searches going on the internet regarding the free Avast Cleanup Activation code, or avast cleanup premium license key to make there version of avast activated. So basically searching for how to download the activation code/key/serial for free, and getting many results offering the avast cleanup premium crack or avast cleanup license keys, then that is definitely of no use. When you go for these websites then basically you will end up with downloading malware, that’s all. Well, the sad news is that you will only end up by paying to get the premium avast cleanup. currently, that avast is asking for only 30$ in order to give you the one year license for Avast premium cleanup tool or avast pc optimization tool. Using an activated version for your avast also gives you the access to avast passwords manager, so you shall definately grab some avast keys now. In order to run a free scan in avast cleanup and identify what are the arising problems, you simply need to download the avast cleanup tool for your pc and run a scan. After you have completed your scan, you simply need to start cleaning up the computer. This is the time when it asks you for the premium version so that you can activate the avast cleanup pro. Some of the issues can be fixed easily but rest needs the working avast premium. So simply activate avast cleanup license using activation codes. Some of the errors are offered free to be rectified from avast where most of them can be done for free, while many you can make correct by yourself also. However, you cannot perform all the fix at once, you need to also get in detail for every error. That is why we recommend you to grab the avast cleanup license key and activate your version and let is solve all the problems by itself. Thinking is avast cleanup premium worth it? Talking of the avast cleanup premium review, then there are many good replies and positive feedback for avast cleanup. Avast cleanup free 2018, has completely changed as compared to its previous versions. We emphatically recommend the new cleanup, especially when using in Windows 10, Windows 8, and Windows 7 too, we are completely satisfied with this program. My PC is running so much better and knowing that whenever I run the program it will only take a short time is really assuring to me. It even does more than the original, defragments the registry and it also will let you know what is wrong with it since the old version didn’t. So if you want to fix the issue yourself you can do so or at least you know what it is doing to cleanup and optimize your system. USE CLEANUP! CleanUp has worked and removed a bunch of things that have accumulated on my PC over the years and though not running perfectly, it is running better, so hopefully, the £15 has postponed the purchase of a new PC, at least for a while. Whole process takes about 10 minutes. We Recommend you to try Avast Safezone Browser or avast Secure Browser now. You can get the avast cleanup activation code by paying for it. you can clean the pc using the activated avast cleanup tool within a few minutes and without any pro knowledge. You can purchase avast cleanup premium key from an official avast website. We have listed a few Avast cleanup license keys below. You can use the avast cleanup premium using the avast cleanup license. We here have the shared and promotional keys for avast cleanup, so we are not sure that whether these keys are working or not. However, we constantly keep our content update so t must also be activated key. Normally when you have avast cleanup installed on your computer, then it starts detecting the arising issues in your computer. Using the pop-up notification saying “Your computer is running slowly!” . These issues and notifications can cause trouble. You can solve this issue with closing off the notifications or you can get the activation code. Follow the steps below to disable the notifications. After you have followed all the steps above, you will no more get these popup notifications for your avast cleanup. Removing Cleanup from your Avast antivirus is really easy. The only thing you need to do is to uninstall the Cleanup component using following steps. That’s it Avast Cleanup is now fully removed and you won’t hear about it anymore. We strictly suggest you that you do not go with avast cleanup activation code generator or any such tools as they are just the waste of time. Click on Avast Customer Service. Select Refund request option and fill-in the form. Someone from the Avast Customer Service will get back to you with the details of the refund process. If your ticket is without response for longer than a week, you can ask about the status on the Avast Facebook page. Along with the version for the PC, Avast Cleanup tool is also available for Android devices also. You can get free Avast Cleanup download for android. For Android devices, Free Avast Cleanup is Available. This app for the android version is completely free, you simply need to download and install. We suggest you download the avast app now for free from the Android Play store or Google play store. On the image below you can see the beautiful and simple interface of Avast Cleanup for Android.